I will stop making Cally releases. This is because this Wednesday something important (from Cally POV) happened. Cally source code was moved to Clutter repository. Some people could think that this is the same that happened to GAIL, that started as a isolated library, and then was moved to GTK+ repository. But there is a major difference. GAIL is still a runtime loadable module, and compiles against GTK+ as a independent library. So this was just basically a GAIL source code move. But now Cally is not a loadable module anymore. It is part of Clutter. Clutter calls Cally directly in order to start accessibility support, so accessibility becomes one of the pieces of Clutter, instead of a external plugin providing this feature. I would like to thank Emmanuele Bassi for all the work done in this integration. In fact this integration was his idea, during the discussion of two bugs related to how to use/load Cally in gnome-shell, during the GNOME accessibility hackfest on CSUN. I hope this change makes things easier. Now we still have to implement a proper way to load the bridge between Cally (the ATK implementation) and AT-SPI, the atk-bridge. 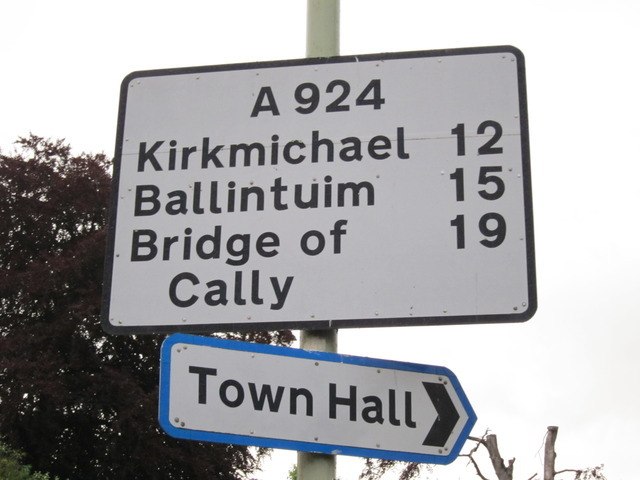 And I will have there a talk about Cally, at first scheduled on Wednesday 28th July. See you there. Somewhat late but just to comment that my talk “Cally: One Year Later” was accepted, so if nothing strange happens, I will attend this year to GUADEC. Four in a row. A lot of work these days related to Cally. During the accessibility hackfest and talking about how apps should load cally or extend it, Emmanuele Bassi suggested that we should stop to consider Cally as a isolated module. These weeks I have been working in order to make this real, a lot of changes that involves the current Cally and Clutter itself to support it (summarized in one metabug), and AT applications like Orca required some changes when I removed the gdk/gtk dependency. All the related patches are uploaded, and waiting to be applied, but blocked right now for reasons out of my hands. I hope this will be ready for GUADEC. So with this solved we could forgot to load a Cally module using gmodule. It still remains the atk-bridge, but I think that in this case it still has sense to be an optional module. And to finalize this rant, this week I uploaded on maemo.gitorious.org a version of at-spi (here) . On previous weeks some people on maemo-developers list were interested in use at-spi and other a11y technologies (in this case for automatic testing purposes). The only place to find a proper stack to maemo was an old hildon automatic testing project. So I just uploaded version of at-spi more recent that the one we can find there. It is still somewhat old, and still CORBA based, but it was tested with maemo, and have some specific maemo fixes applied, so it can be still useful. The ideal would be try to migrate the current a11y stack, as much as possible, including the DBUS at-spi to maemo, but right now I don’t have enough time to do that. After spent some time improving cally, reviewing mx new focusable/focus-manager objects and several days configuring my environment (karmic upgrade, broken linkage in my jhbuild environment, etc) I started to check again how to use cally on gnome shell (first look here). One of the entries in my TODO is start to make the module loading more that a hacking patch. A first solution proposal and a gratuitous rant here. 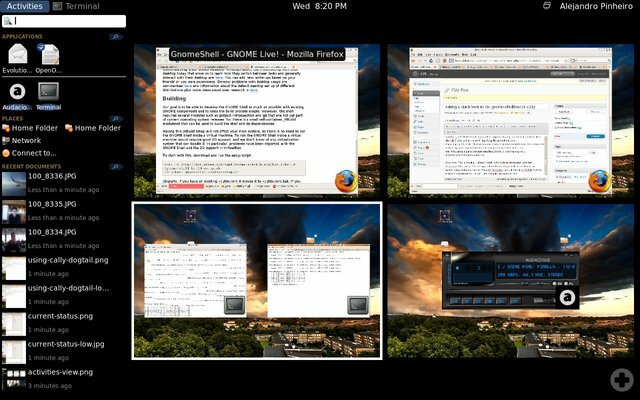 I know that it would be more useful with sound, but as the gnome shell screencast recording feature doesn’t record audio, and I wasn’t able to use recordmydesktop or istanbul, finally I just recorded the sound with my N900, and I was too lazy to create a video with both. If you are curious enough, you can hear the audio of the previous video screencast here. To avoid to replace your own WM, run gnome-shell nested (with –xephyr option). As I said, running some of the accessibility tools leads to froze the gnome-shell. Additionally in my case, running it on xephyr had a horrible performance, so both options were not really useful to me. Finally I chose a mixed option. 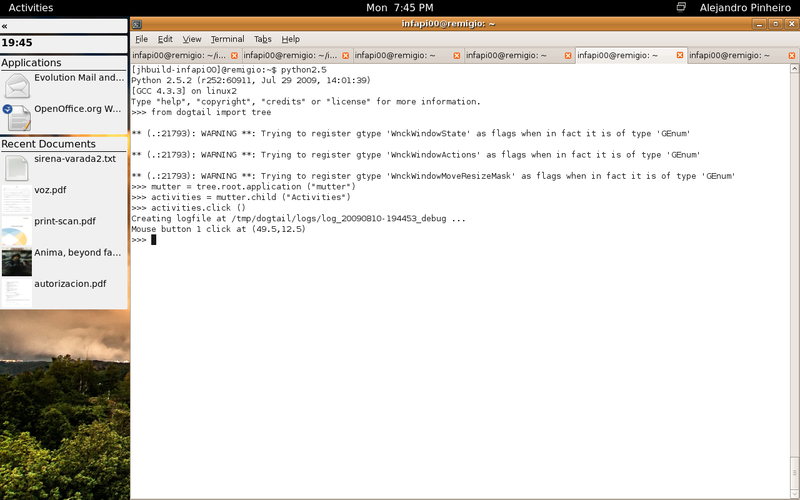 I just launch a second X server, and launch the gnome-shell here. 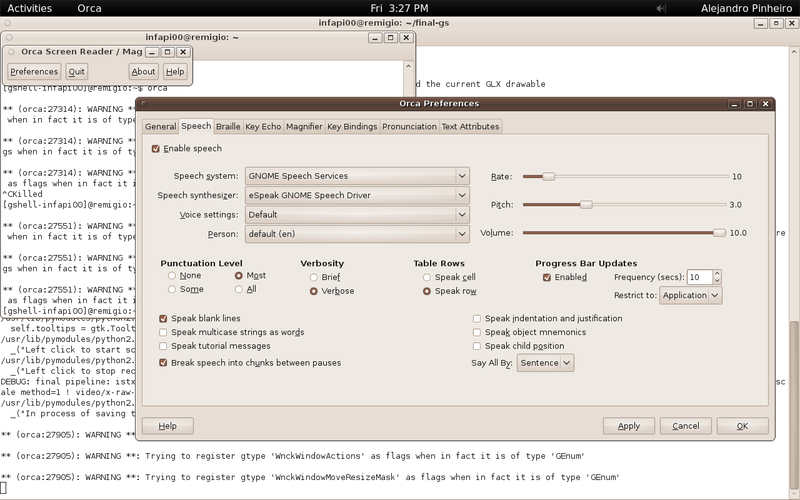 Then you can just use Ctrl+F9 and Ctrl+F7 to move between your “normal environment” and your “gnome-shell” environment. Probably someone can wonder why it is required to run gnome-session, and not execute directly gnome-shell (without the replace). Well, for any reason if I do that, the performance is also as horrible as with the –xephyr option. In the same way gnome-session load all my configuration, etc. Not a big issue anyway. Cally was somewhat stuck during December due Christmas and parallel projects, but January was a productive month. A ClutterText bug was committed, and this allowed to push several cally bugs solutions and other blocked local commits, and going forward to do a real test of Cally with ORCA. The idea was being able to run the toy-cally examples with ORCA before move to bigger things. So bug 1946 was created with several comparative cally-gail test cases. I want to give thanks to Joanmarie for all her help as ORCA expert, testing and bug detection. As I said, this bug leads to detect some extra bugs (on clutter and on cally). Finally these bugs were solved, so now you can use ORCA with the cally text examples. During this task, I personally discovered that the manipulation of keyboard codes is something near to hell, and that currently Gdk and Clutter has a slightly different behaviour. This would lead to problems using the ATK interfaces, as AtkKeyEventStruct was defined really tied to GDK (at that moment the use case to contemplate). I tried to minimize that on Cally as far as possible. Next steps? While I was working in this bug MX team announce the 0.5 release. This announce include the addition of MxFocusable and MxFocusManager, used to improve the keyboard focus management. I would like to check if it will be useful for keyboard navigation bugs in gnome-shell, as Owen Taylor suggested in the mailing list. Although Boston Summit has finished the Monday, I have just arrived at home. In theory I should start to do housecleanings and other home-boring-related things, but basically, after a trip that started the 13th on the afternoon, and finished the 14th on the noon, I simply don’t feel like it. But about Boston Summit. This was my first Boston Summit, and although the two days wasted on flights and the airports were a pain in the neck (specially american ones if you are non-american), I think that this worth. I was present to several interesting talks like the ones about Clutter 1.2 and the design and internals of Gnome-shell. In the same way I met really interesting people, and I would like to focus on Willie Walker and Joanmarie Diggs, and we have several conversations about Cally, and about the a11y support in future clutter-based applications like Gnome-shell. Joanmarie help me a lot to prioritize the current Cally bugs in order to have a good ORCA support in clutter based applications. 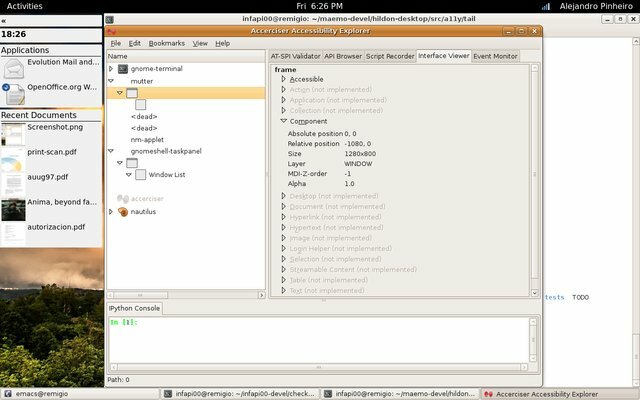 Although Owen Taylor said that Gnome-shell has still a lot of work to do before start seriously to think on the a11y support (as the user interaction could still change), he also says that once the Gnome-shell is there, it will require a good a11y support from the core (Clutter-Cally? ), so the support could be added straighfordwardly. As start to develop a library without a focus would be a bad idea (just start with things not really important), my current idea is try to use Gnome-shell/mutter as a target-aplication to implement the missing features on Cally, as a example of application using it. Although it would change in the future, at least a lot of work would have been done. In the same way, was good to know that Emmanuel Bassi is really open to get a better a11y support and that he includes it in the list of “things” that could require add new API on Clutter 1.2. At thats all. I hope have written a coherent post, I barely slept on the flight. Randomly, when I have a litte time to, I’m trying to take a look about how the a11y support could be added to gnome-shell, and decide if Cally fits here. (mutter:24120): atk-bridge-WARNING **: AT_SPI_REGISTRY was not started at session startup. (mutter:24120): atk-bridge-WARNING **: IOR not set. This means that I was not able to load the atk-bridge using the nested server, so I used the replace option. Not a big issue right now, as gnome-shell is going really slow there, but I would like to use that on real development. Any quick ideas? I suppose that this gnomeshell-taskpanel came from gnome- shell ;), but we can see that just under mutter there isn’t any child. So, how to interact with this “Activities” button just on the top-left corner of the window? Well, probably now I should have started to look at the mutter+gnome-shell code trying to analyze all their parts, but before that, I wanted to test a quick hack. Basically, see what happens if we just load Cally instead of GAIL. This can’t be done using the GTK_MODULES env (so don’t forget to clean it), as it is required to be done after init Clutter, and as there is no general way to do that on Clutter, this is required to made by hand. And by hand I mean modify directly Mutter, with a hackish patch. Wow, wow. This is working, it doesn’t crash, both modules are loaded. Let’s test Accerciser. What we get? All the applications frozen. Hmm, well, this isn’t exactly what we wanted, but probably has sense. Probably Accerciser uses all the fancy AtkUtil methods related to event listeners, not implemented yet. Of course, I lost the focus on the terminal, so I can’t just type again “activities.click()” ir order to go back to the previous view. Since the POV of the automatic testing this is not a issue. For example, this little dogtail test works without problem. It clicks the activities button, and after two seconds, it click it again, so the view goes back to the normal one, no problem. But from the “classic a11y” POV this could be a issue. Although normally I don’t use AT apps like Orca, I always think that if I’m able to control a app just with the python terminal and dogtail stuff, any AT app could do that (this is not 100% true, I know). Here I found that this wouldn’t be as easy. Well, and now the next steps should be do a real work instead of just change the module to load. About that, probably one of the other big issues is that we will need to manage a mixed environment GAIL-Cally, so I need to check how to do that. Other thing to review is just print all the things currently exposed (just mutter.dump()) and see if we miss something.